The best place to begin a detailed study of the Tabernacle is at the foundation. Read Exodus 26:15-29, and Exodus 27:9-19, for an understanding of the construction details, and explanation of what the bases supported. Notice there are two types of bases used. The outer court used sockets made of brass. The Tabernacle used sockets of silver. The spiritual meaning of each material, and its location is important. The sockets are used to supported the walls of the Tabernacle, and the curtains around the court. We are not provided with a complete list of details describing the sockets, but we know they were used as support bases. I would imagine the bases were wide at the bottom and tapered toward the top. The best way to form the sockets would be to cast them. This would also supply a clue to the location, where the Tabernacle was fabricated, and provide a list of the materials Israel carried out of Egypt. Casting metal requires a melting pot, fuel for the fire, and a particular grade of sand to form a mold. The sand is more like a fine powder, not at all like the course sand found on a beach. The sand must be small enough to fill every detail of the pattern. It must hold its shape when compacted, and have a minimum amount of moisture. Too much moisture would expand when contacted by molten metal. Moisture expands, leaving gas bubbles and defects in the finished product. You can download the eBook here. Israel may have carried a melting pot out of Egypt, along with a bellows to fan the flame, along with other instruments required to cast metals. They must have cast the bases, and other items at a location where the proper sand was available, along with wood for fires, and materials to make the forms for the castings. Based on the height of the boards, ten cubits, or fifteen feet, the sockets must have been at least a foot and a half long by one foot wide at the base, and at least a foot high. Each socket would have weighed about 16,000 ounces, or 980 pounds, if they were a solid casting. The weight would required at least four men to lift them. The sockets must have been a hollow casting, with a wider base. If the sockets were cast hollow with one inch thick walls, wide enough at the base, to support the boards, and curtains against winds, they most likely would have been two feet long, a foot wide, and a foot and a half high. If this was the case, they would have weighed 600 pounds. The walls may have been thinner, to allow the bases to be lighter, but they also had to weigh enough to hold up to winds. 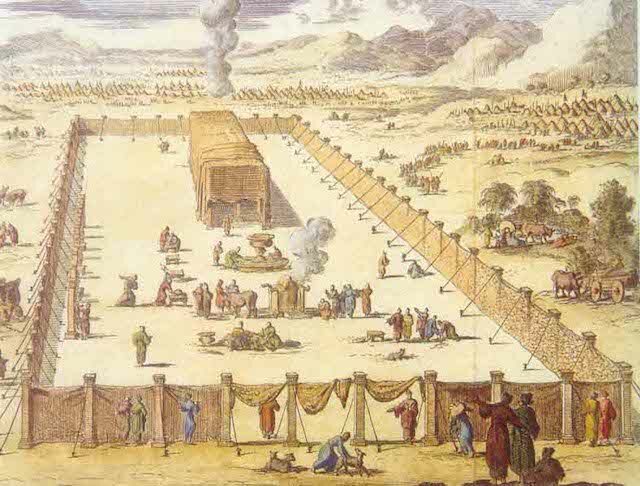 God chose the location for the assembly of the Tabernacle. The court must have been erected first. The Levites must have taken great care to ensure each and every piece was in the proper location, and in perfect order according to specifications. The court was a hundred cubits long by fifty cubits wide, or one hundred and fifty feet long by seventy five feet wide. The entrance always faced east. The length of the court consisted of twenty sockets for the south wall, twenty sockets for the north wall, ten sockets on the west wall, and six sockets on the east gate, which consisted of an opening to the court. The sockets would have been spaced on a distance of about five cubits, or seven and a half feet. The distance may have been a little greater, because twenty sockets would have consisted of nineteen spaces. We are not told if the corners consisted of doubling the sockets or a single socket. There is no mention of corner sockets, which may have been a little different in design. If we add the three sides, the total distance is 250 cubits, the total sockets fifty, which would indicate a spacing of five cubits. The first thing to do once a site is cleared would be to layout the pattern for the bases. The easiest and most efficient way to do this would have been to use a set of strings, or ropes. Each rope would have been marked to locate each socket. To insure the sides are square, the Levites would have diagonally measured the distance from corner to corner. Another set of equal strings could have been used for this task. This simple method would have ensured the walls were laid out in a straight precise pattern. The sockets for the court supported pillars, which supported the curtains. We are not told exactly what the pillars in the court were made from, but the pillars inside the Tabernacle were made of shittim wood, covered in gold. Because the materials for the court pillars is not specified, I would assume they were made of wood, and may not have been covered. We are not told if the pillars were round or square. In either case, the sockets would have been cast with a hole, or a relief, for the columns to fit into. I do no think the wood contacted the ground, so the sockets would have been designed with a cup in the center to hold the column. Each column for the court was five cubits, or seven and a half feet high. The material for the sockets was specified for a reason. Once we understand the reason materials were used in certain areas of the court, and Tabernacle, we can begin to understand the spiritual messages behind the details of the Tabernacle. The sockets in the court were made of brass. The only way to find the spiritual meaning of the material is to compare scripture with scripture. To find the spiritual meaning for brass, we have to study a number of texts with the word brass. Daniel 10:6 His body also was like the beryl, and his face as the appearance of lightning, and his eyes as lamps of fire, and his arms and his feet like in colour to polished brass, and the voice of his words like the voice of a multitude. KJV Revelation 1:13-16. And in the midst of the seven candlesticks one like unto the Son of man, clothed with a garment down to the foot, and girt about the paps with a golden girdle. (14) His head and his hairs were white like wool, as white as snow; and his eyes were as a flame of fire; (15) And his feet like unto fine brass, as if they burned in a furnace; and his voice as the sound of many waters. (16) And he had in his right hand seven stars: and out of his mouth went a sharp twoedged sword: and his countenance was as the sun shineth in his strength. Daniel and John tells us, Jesus’ feet are like fine, polished brass. This makes sense. The sockets support the curtains of the court, much like feet support the body. Does this mean brass represents Jesus’ feet? Is so, what do feet represent? KJV Psalms 99:5. Exalt ye the LORD our God, and worship at his footstool; for he is holy. KJV Psalms 132:7. We will go into his tabernacles: we will worship at his footstool. David shows worship takes place at the footstool of God. Where is this footstool located? Isaiah 66:1-2. Thus saith the LORD, The heaven is my throne, and the earth is my footstool: where is the house that ye build unto me? and where is the place of my rest? (2) For all those things hath mine hand made, and all those things have been, saith the LORD: but to this man will I look, even to him that is poor and of a contrite spirit, and trembleth at my word. KJV Matthew 5:34-35. But I say unto you, Swear not at all; neither by heaven; for it is God’s throne: (35) Nor by the earth; for it is his footstool: neither by Jerusalem; for it is the city of the great King. Jesus, and Isaiah show us, God’s footstool is the earth. This is where people worship God. It seems a little strange to use the symbol of feet, and a footstool to symbolize worship. 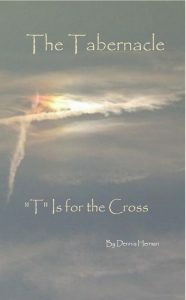 Additional study will show the exact message God was teaching in this symbolism. KJV Genesis 19:1-2. And there came two angels to Sodom at even; and Lot sat in the gate of Sodom: and Lot seeing them rose up to meet them; and he bowed himself with his face toward the ground; (2) And he said, Behold now, my lords, turn in, I pray you, into your servant’s house, and tarry all night, and wash your feet, and ye shall rise up early, and go on your ways. And they said, Nay; but we will abide in the street all night. Lot showed respect to two complete strangers, who happened to be angles, by bowing down, offering to wash their feet, and opening his home to them. These are key factors indicating Christian attributes God wants us to display to one another, and to strangers. KJV Luke 7:44-48. And he turned to the woman, and said unto Simon, Seest thou this woman? I entered into thine house, thou gavest me no water for my feet: but she hath washed my feet with tears, and wiped them with the hairs of her head. (45) Thou gavest me no kiss: but this woman since the time I came in hath not ceased to kiss my feet. (46) My head with oil thou didst not anoint: but this woman hath anointed my feet with ointment. (47) Wherefore I say unto thee, Her sins, which are many, are forgiven; for she loved much: but to whom little is forgiven, the same loveth little. (48) And he said unto her, Thy sins are forgiven. KJV John 13:3-5. Jesus knowing that the Father had given all things into his hands, and that he was come from God, and went to God; (4) He riseth from supper, and laid aside his garments; and took a towel, and girded himself. (5) After that he poureth water into a bason, and began to wash the disciples’ feet, and to wipe them with the towel wherewith he was girded. Mary washed Jesus’ feet with her tears, and kissed them, as a sign of respect. Jesus understood this to be a request for forgiveness. Jesus also washed the feet of the disciples to teach them a lesson in forgiveness, and how they are to treat every person they came in contact with. Jesus showed the disciple, He was not above being a servant, and if they were to understand the message they were commissioned to take to the world, they must learn to be a servant. The brass sockets represent Jesus’ feet. Levites had to carry them from location to location. They had to be placed with the greatest care and precision. Brass sockets supported the entire outer structure, just as serving is the foundation of God’s government. Jesus taught the same lessons when He washed the disciples feet. When love and forgiveness are carefully placed in accordance with instructions, the foundation of faith will be secure. Without a proper foundation, the walls will never stand. Without love, and forgiveness, the church will never grow. Sockets for the Tabernacle were made of a different material, silver. As we continue to study the details of the court, and Tabernacle, we will begin to understand why certain materials were used in one location, and others in a different location. The construction of the Tabernacle was quite different from the court. Among other important items, the Tabernacle housed the ark, table of shewbread, and the candlestick. The Tabernacle used sockets of silver. These sockets supported boards made of shittim wood standing up. This indicates the boards were standing upright. They were ten cubits, or fifteen feet high, by a cubit and a half, or twenty seven inches wide. Each board was supported by two sockets. The KJV describes the boards as having two tenons. What is a tenon? If we referred to the definition of a tenon in relationship to woodworking, we would find it is the male end of a connection between two pieces of wood. This may be one of the instances where the King James translation is a little bit off. When you follow the original language, you will find the Hebrew word translated tenon, refers to an open, or hollow hand. This would indicate the boards were actually fitted with the mortise, or female side of the joint. From a design standpoint, this would make more sense. To support boards in the upright position, the sockets would have been designed with a groove through the center. The groove would have been three or more inches from the bottom. The boards would have been shaped to fit into the groove, and notched with a mortise so when the boards slid into the sockets, the boards also filled the gaps between the sockets. This design would allow for smaller, lighter sockets, and the strongest connection between the sockets and boards. Why was silver used to support the walls of the tabernacle? To find the answer, we must compare a number of texts to find the spiritual meaning of silver. KJV Psalms 12:6. The words of the LORD are pure words: as silver tried in a furnace of earth, purified seven times. KJV Psalms 119:72. The law of thy mouth is better unto me than thousands of gold and silver. KJV Proverbs 8:10. Receive my instruction, and not silver; and knowledge rather than choice gold. KJV Ezekiel 22:22. As silver is melted in the midst of the furnace, so shall ye be melted in the midst thereof; and ye shall know that I the LORD have poured out my fury upon you. The Bible compares silver to God’s words, His law, and instructions. People, who know God, are also compared to refined silver. Here we have an emphasis on God’s word, and His law, as the foundation for the Tabernacle. The spiritual interpretation also contains a connection between God. His law, and His people. This interpretation should not seem surprising, considering the Tabernacle contains the law of God, the ten commandments written in stone, along with a hand written copy of the instructions given to Moses. The Tabernacle was built around the law. The spiritual interpretation shows us, the law also supports the Tabernacle, and all its symbols. KJV Deuteronomy 11:1. Therefore thou shalt love the LORD thy God, and keep his charge, and his statutes, and his judgments, and his commandments, alway. KJV Exodus 26:15-27. And thou shalt make boards for the tabernacle of shittim wood standing up. (16) Ten cubits shall be the length of a board, and a cubit and a half shall be the breadth of one board. (17) Two tenons shall there be in one board, set in order one against another: thus shalt thou make for all the boards of the tabernacle. (18) And thou shalt make the boards for the tabernacle, twenty boards on the south side southward. (19) And thou shalt make forty sockets of silver under the twenty boards; two sockets under one board for his two tenons, and two sockets under another board for his two tenons. (20) And for the second side of the tabernacle on the north side there shall be twenty boards: (21) And their forty sockets of silver; two sockets under one board, and two sockets under another board. (22) And for the sides of the tabernacle westward thou shalt make six boards. (23) And two boards shalt thou make for the corners of the tabernacle in the two sides. (24) And they shall be coupled together beneath, and they shall be coupled together above the head of it unto one ring: thus shall it be for them both; they shall be for the two corners. (25) And they shall be eight boards, and their sockets of silver, sixteen sockets; two sockets under one board, and two sockets under another board. (26) And thou shalt make bars of shittim wood; five for the boards of the one side of the tabernacle, (27) And five bars for the boards of the other side of the tabernacle, and five bars for the boards of the side of the tabernacle, for the two sides westward. KJV Exodus 27:9-19. And thou shalt make the court of the tabernacle: for the south side southward there shall be hangings for the court of fine twined linen of an hundred cubits long for one side: (10) And the twenty pillars thereof and their twenty sockets shall be of brass; the hooks of the pillars and their fillets shall be of silver. (11) And likewise for the north side in length there shall be hangings of an hundred cubits long, and his twenty pillars and their twenty sockets of brass; the hooks of the pillars and their fillets of silver. (12) And for the breadth of the court on the west side shall be hangings of fifty cubits: their pillars ten, and their sockets ten. (13) And the breadth of the court on the east side eastward shall be fifty cubits. (14) The hangings of one side of the gate shall be fifteen cubits: their pillars three, and their sockets three. (15) And on the other side shall be hangings fifteen cubits: their pillars three, and their sockets three. (16) And for the gate of the court shall be an hanging of twenty cubits, of blue, and purple, and scarlet, and fine twined linen, wrought with needlework: and their pillars shall be four, and their sockets four. (17) All the pillars round about the court shall be filleted with silver; their hooks shall be of silver, and their sockets of brass. (18) The length of the court shall be an hundred cubits, and the breadth fifty every where, and the height five cubits of fine twined linen, and their sockets of brass. (19) All the vessels of the tabernacle in all the service thereof, and all the pins thereof, and all the pins of the court, shall be of brass.